Batching machinery for fabrics and technical textiles. 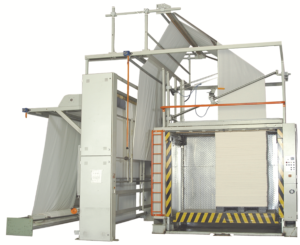 Our range of batching and exit feed systems covers the most basic of applications to the most sophisticated with often the customer requesting our bespoke design and build approach for an exit or rewind system to meet with their specific needs. 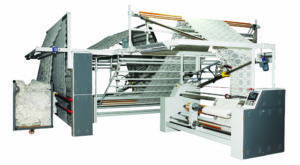 We have systems to work with knitted, woven and non-woven products, for web widths of up to 5000mm plus. 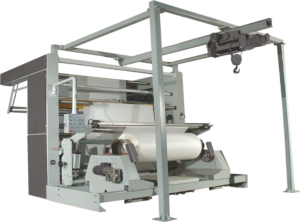 We can tailor solutions to allow them to be incorporated into your existing production line, or we can get a bespoke system designed and built for you. 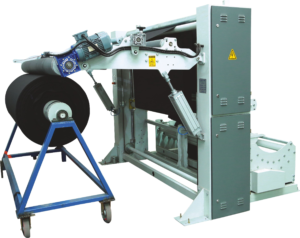 We have the ability to incorporate inspection and slitting systems wherever necessary. Feel free to contact us today to discuss your requirements, whatever they are.